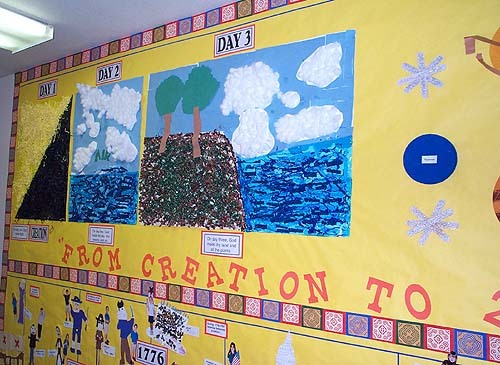 covers a hall at the ECLC (Early Childhood Learning Center). of the world in six days. 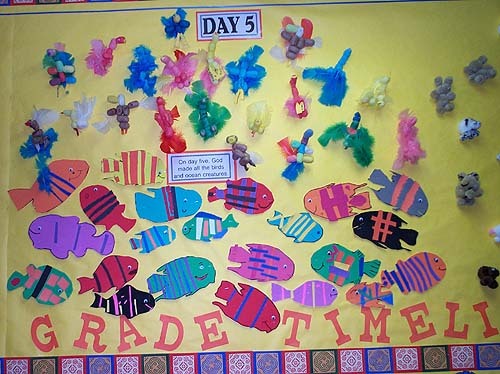 For Day 5 the children have made figures of birds and fish. 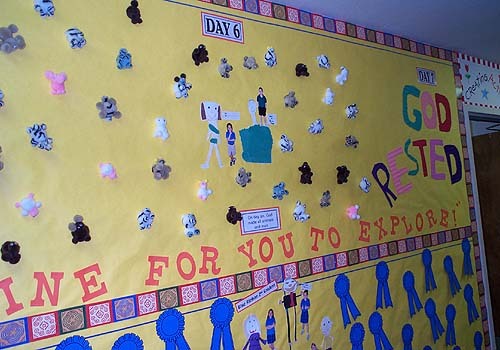 Day 6 shows small stuffed animals and pictures of two of the children. Press "Go" to search for The Creation .